Mitt Romney’s selection of Wisconsin Congressman Paul Ryan to be his Vice-Presidential running mate is perhaps the most serious and forward-thinking choice he could have made. We all know Mitt Romney has great executive and private sector experience, which will help get our economy moving again, but Paul Ryan brings with him a deep understanding of what it will take to balance the federal budget and protect the future of our country. The combination of Mitt Romney and Paul Ryan shows the nation that the GOP will be ready on day one to fix the economic malaise of President Obama and provide a stable foundation for a bright future. Naturally, liberals will be jumping at the chance to attack the “Ryan Plan” and make us all think that Republicans want to “throw grandma over a cliff;” however, the reality is that Paul Ryan’s budget plan would provide all Americans with a secure future by fixing problems that are bankrupting the country and failing to serve those who most need it. . . perhaps that is why it received more votes in Congress than President Obama’s budget. Make no mistake, our government is broken because of the lack of serious entitlement reform. Without these reforms our country will not only go broke, but these “safety nets” that Democrats love so much will also cease to exist and my generation will be left with mountains of debt and nothing to show for it. Like many conservatives, I had yet to fully warm up to Mitt Romney and get excited about this election; all of that has changed with Paul Ryan’s selection, not because of Ryan alone but because it clearly exhibits that Romney is serious about our nation’s fiscal troubles! 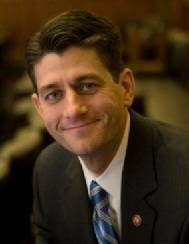 It is also interesting to note that Paul Ryan is a Catholic, a group whose views have been marginalized by President Obama. Though I believe this election will be about economics, the President’s repeated attacks on religious freedom has become a hot topic among Catholics and all people of faith. Now is the time for every conservative to get engaged and ensure that Mitt Romney and Paul Ryan are victorious on November 6, 2012. This ticket is the perfect ticket to tackle the serious budgetary and economic issues that threaten the security of our families, the health of our seniors, and the future of my generation! The selection of Paul Ryan as VP gives me hope that after four years of mediocrity, Mitt Romney will prove to be a President for a secure and prosperous America. I look forward to covering the 2012 Republican National Convention for TexasGOPVote, and I cannot wait to see the excitement on display in Tampa later this month!